By now you have most likely heard through the grapevine (last “vine” pun I promise) about Twitter’s new Vine app and it’s many pros & cons. Many call Vine the Instagram of video as it goes beyond static images by allowing for 6 seconds of context tied to pictures, motion & sound in the form of looping videos optimized to be shared. Twitter launched Vine on January 24th, 2013 and it has not left the top 20 in the app store since launch. 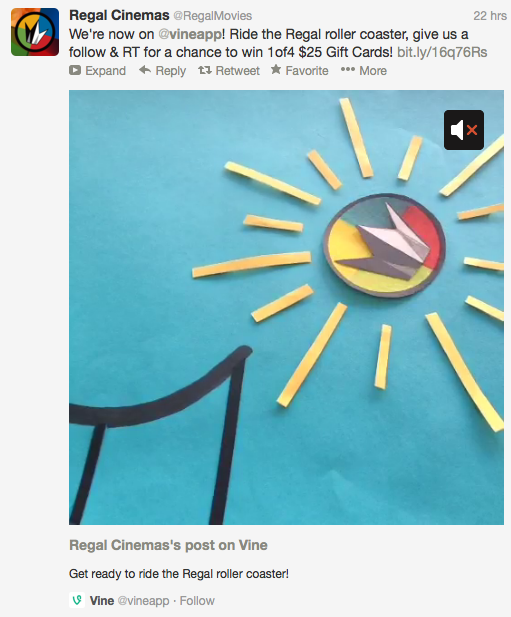 Vine’s six second video loops are quick, lightweight pieces of content that are ideal for social sharing. Initially launched via a mobile app for iOS (Android app in development) this high-level version of an animated gif is quick & easy to capture. Just point your device, touch the screen and the app records up to 6 seconds allowing for starts & stops. According to Tech Crunch, Vine (2.8% penetration) has taken an early lead over the likes of Viddy (0.5) & Socialcam (0.2). There is significant opportunity tied to short form video assets & social sharing as the same article referenced that 98% of overly active users shared photos whereas only 4% shared video. With the recent changes announced by Facebook and the importance of visual content that drives engagement, having the opportunity to create short-form content may be a powerful tool for brands to consider. 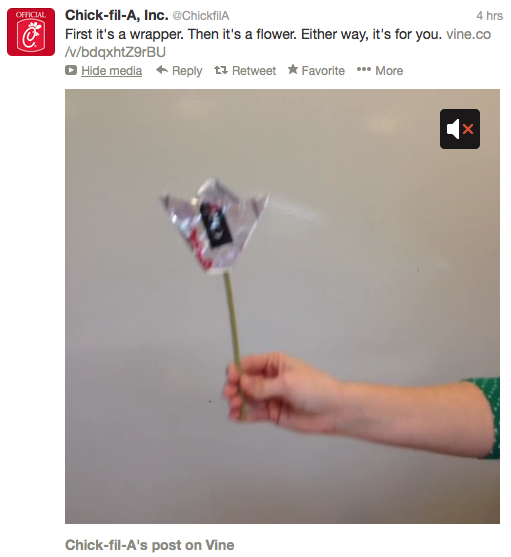 Vines can be a powerful addition to a solid content strategy. Whether it’s showcasing supplementary branded content or simply finding a relevant extension of your brand to highlight, Vine can provide yet another option to keep users attention. BeatsByDre teased the opening of it’s SXSW Pill Clinic with this Vine. Be aware when leveraging Vine that there are issues with quality control, as the current version does not allow moderation. The focus should be less on community building & aggregation and more focused on creating content that is then distributed through owned channels. Also note that it is important to determine the message that is to be conveyed and ensure that it ladders back to the core attributes and persona of the brand prior to just filming.